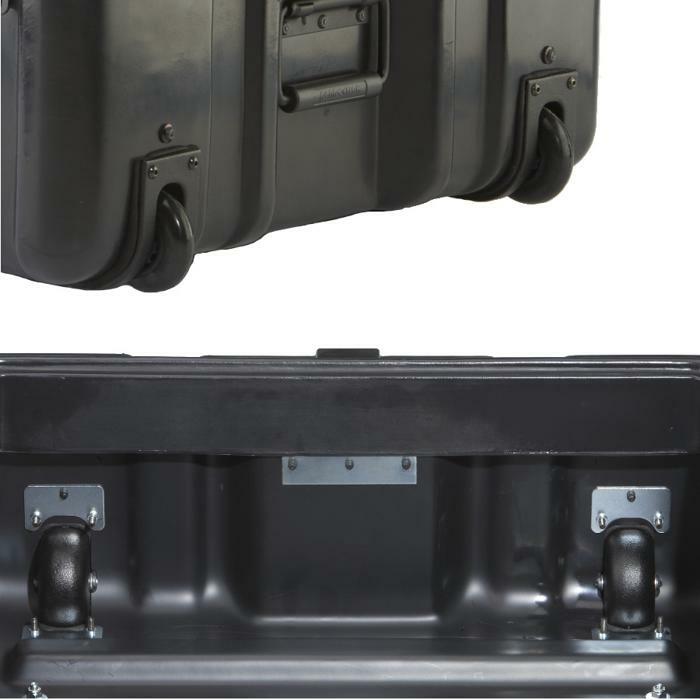 A majority of Ameripack cases are available with Edge Casters molded into place on our cases. When these casters are not available, Ameripack can add on our 70MM edge casters to retrofit your case into a rolling fortress of protection. Our edge casters are sealed and are easily field replaceable. With the addition of edge casters, we can also add a 7" pull handle opposite the wheels, or we can add on a retractable handle to the bottom of the case with our without protective bumpers as needed. Please see the photo gallery for examples.